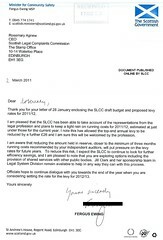 Cash rich law quango SLCC gives £1 million gift back to lawyers in latest budget. 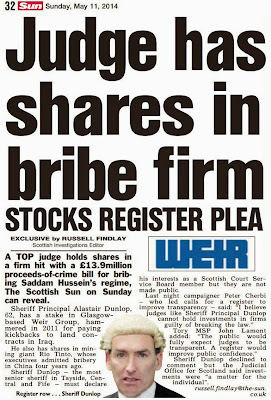 GREED IS GOOD if you happen to work in the Scottish legal profession as it was revealed today the anti-client Scottish Legal Complaints Commission (SLCC) which received a massive TWO MILLION POUNDS from taxpayers to fund its start up costs which included luxurious offices, financial perks & lavish expenses claims for board members, is yet again giving greedy lawyers a financial boost by releasing £1 million of its near £1.8 million cash stash back to the legal profession to reduce levies on crooked lawyers. While the SLCC and its extravagantly expenses claiming & quangocrat filled board continue to refuse to repay even one penny of the £2 million of public funds it received in 2007- 2008, money which could prop up a wide range of public services or be put to much better use inside other parts of the justice system, today’s announcement on the SLCC’s 2011-2012 budget shows there appears to be no reluctance to hand millions of pounds back to the very same legal profession the scandal laden law complaints quango is supposedly tasked to regulate. The figures announced in the SLCC’s budget for 2011-2012 laid before the Scottish Parliament today show a cut in the standard levy applied to all solicitors (and conveyancing and executry practitioners) of £26 to £209 for the year from 1 July 2011 to 30 June 2012. Those in the first three years of practice will pay £105 (also the figure for advocates), and in-house lawyers and those practising outwith Scotland £69. The complaints levy remains unchanged, ranging from no charge where a complaint is resolved at mediation, up to £2,000 for a formal determination upholding a complaint on a third or subsequent occasion, although given the fact the SLCC has only upheld one single complaint since it began ‘regulating’ lawyers in 2008, little in the way of formal determinations have actually been made and certainly not published. Fergus Ewing as Minister for Communities & Justice wrote letter praising the SLCC for paying back solicitors a few million, no thought of asking for the £2m to be returned. 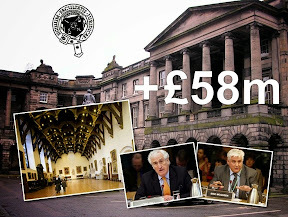 Given the poor state of public funds throughout the country, one might have thought Scottish Ministers would have pressed for some kind of repayment of taxpayers money from the SLCC yet no such moves were made, and stunningly, the now former Minister for Communities & Justice, Fergus Ewing, wrote a letter to the SLCC’s new Chief Executive, Rosemary Agnew, praising the SLCC for “listening to representations from the Law Society” and handing back millions to the legal profession. An official from one of Scotland’s consumer organisations said the SLCC would do better to meet its public expectation of cleaning up the legal profession instead of gifting back most of the money it has accrued to solicitors. The Law Society of Scotland today said it was happy the SLCC had ‘listened’ to the society’s ‘representations’ over the levy charges, due to solicitors allegedly experiencing a “tough economic situation”. 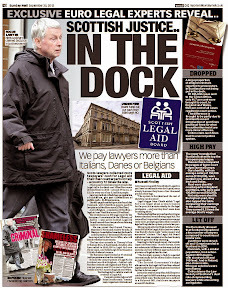 Law Society of Scotland’s Philip Yelland, in charge of regulation of crooked Scottish lawyers for over 20 years. Commenting on the reduction in levy fee by the Scottish Legal Complaints Commission, Philip Yelland, director of regulation at the Law Society of Scotland, said in a press release : "We are glad that the Scottish Legal Complaints Commission has listened to our representations about the level of fee solicitors will pay in the coming budgetary year. Many solicitors are still making difficult business decisions as there is still a careful balancing act for many solicitors during this ongoing tough economic situation. The £26 decrease in levy fee, which practicing solicitors pay to fund the Commission, is to be welcomed and the Society will continue to represent the profession's interests to the Commission as it carries out its functions." 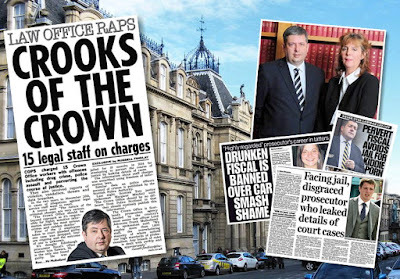 Clearly the Law Society representations and the bias of Scottish Ministers won the day to keep the legal profession happy, although the £1 million would have been better returned to public funds, where the money is really needed. BACKGROUND of Law Society’s Regulation Chief. 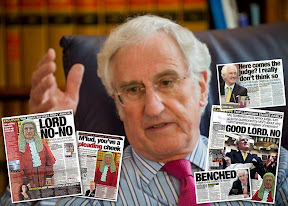 Philip Yelland ordered solicitors not to take their clients instructions in cases in Scotland’s Court of Session against crooked & negligent lawyers. Mr Philip Yelland was formerly the head of the Law Society’s “Client Relations Office”, holding the position since 1990 and has been involved or in charge of regulation of “crooked lawyers” in Scotland for over twenty years in a period which coincidentally saw huge numbers of complaints against the legal profession which in one year alone topped 5000 complaints against Scottish solicitors. Mr Yelland was also identified in private correspondence sent to solicitors demanding they refuse to represent or take instructions from clients involved in Court of Session cases against some of Scotland’s worst rogue lawyers, among them the well known crooked lawyer Andrew Penman of Stormonth Darling solicitors, Kelso, in the Scottish Borders. Law Society of Scotland blacklisted clients from legal representation & legal aid. 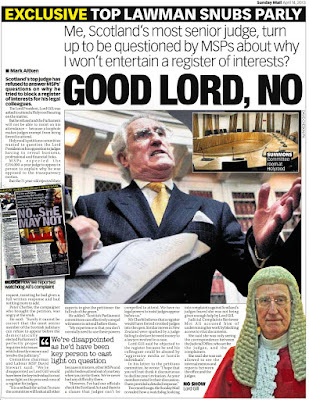 Unsurprisingly, many solicitors who face complaints handed by Mr Yelland’s office ended up receiving little more than a slap on the wrist while ruined clients were barred from court, blacklisted from obtaining legal representation, were privately investigated and were subject to “information gathering exercises” by senior Law Society officials revealed in 2006 at Holyrood’s Justice 2 Committee’s investigation of the Legal Profession & Legal Aid Bill. 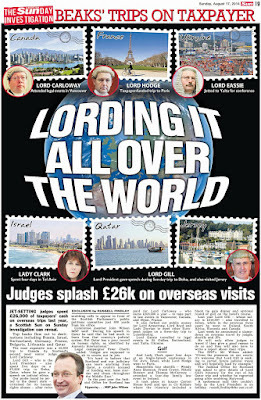 It was also revealed most clients who ended up victims of the legal profession had received little or no compensation for millions of pounds of plundered client assets. 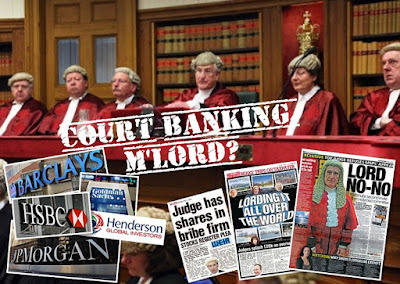 Mr Yelland’s name was also allegedly linked to the suicide of an Oban client in a report on the Law Society of Scotland’s notoriously corrupt Master Policy Insurance scheme compiled by Professor Frank Stephen & Dr Angela Melville of the Manchester University of Law School in 2009. Papers studied by the University team yet not released to the public alleged a man from Oban had been sent to a Glasgow law firm to represent him in a court case against a crooked law firm yet the Glasgow law firm did nothing for a period of three years and after it was revealed the same firm also represented the Legal Defence Union, the shady organisation which represents crooked lawyers against complaints, the Oban client committed suicide. The final report from the University of Manchester Law School on the Master Policy can be viewed or downloaded here : Report on the Master Policy by University of Manchester Law School, Dr Angela Melville & Professor Frank Stephen. 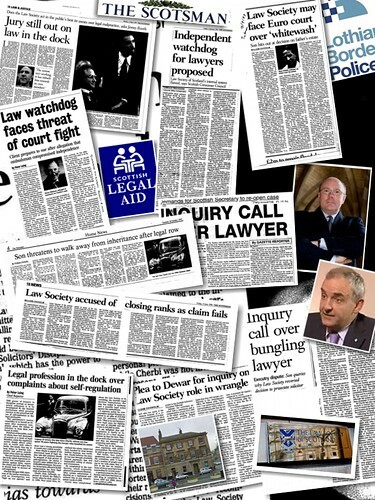 The Law Society of Scotland & others linked to the Oban case have never commented on their role in events which some allege drove the unnamed client to suicide and readers may recall from recent news the Legal Defence Union played a significant part in negotiating a secret deal with the Scottish Legal Aid Board to secure no action against solicitor Niels S Lockhart for alleged legal aid irregularities. All this trouble, expense, political interference from Scottish Ministers, clients intimidated & suicides just so lawyers can sleep soundly at night, as the report on the Master Policy from Dr Melville & Professor Stephen so accurately stated. 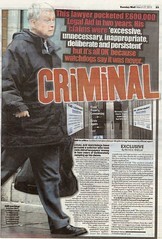 Scotland’s “Victorian” justice system in the dock after UK’s Supreme Court overturns yet another criminal conviction. 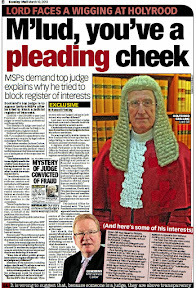 AS the ash cloud caused by the Supreme Court’s ruling on Nat Fraser’s appeal continues to spark protests from First Minister Alex Salmond & Justice Secretary MacAskill of the necessity of the Scottish legal system being the final arbiter of cases brought before it, we would all do well to remember that Scotland’s justice system which has been branded Victorian, prejudiced, restrictive, most certainly a little crooked, open to political manipulation and by all accounts certainly racist and even sectarian, cannot in any circumstances be regarded as a justice system fit for a modern democracy which gives those brought before it in criminal law, or those who must use it for civil law, a right to a fair hearing or even a right to access to justice itself. Yesterday’s ruling by the UK Supreme Court which overturned Nat Fraser’s conviction after a jury at the High Court in Edinburgh in 2003 found him guilty of killing his wife Arlene who vanished from home in April 1998 has led to accusations yet again that the Supreme Court in London threatens the independence of Scotland’s criminal legal system. However, the only real threat to the independence, (and don't forget the integrity & credibility) of Scottish justice and Scots Law, is Scots Law itself. Mr Salmond continued : "Before devolution, the House of Lords had no jurisdiction whatever in matters of Scots criminal law. 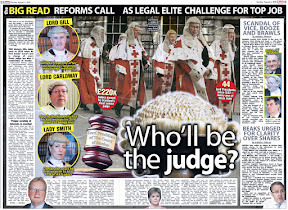 The increasing involvement of the UK Supreme Court in second guessing Scotland's highest criminal court of appeal is totally unsatisfactory, and creates additional delay and complexity which cannot serve the interests of justice.As we said in our evidence to the Scotland Bill Committee, the Scottish Government believe that the UK Supreme Court should have no role in matters of Scots criminal law, whether by way of devolution issues or appeal." Let us take a closer look at the Charges facing Scotland’s Justice system, both criminal & civil :and judge for ourselves whether it is fit for a modern democracy as we are supposed to be. 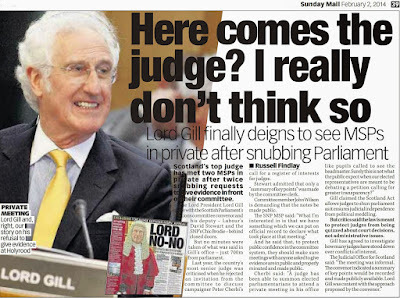 Lord Justice Clerk, Lord Gill branded Scots civil law “Victorian” yet clearly Scots criminal law also has major problems. 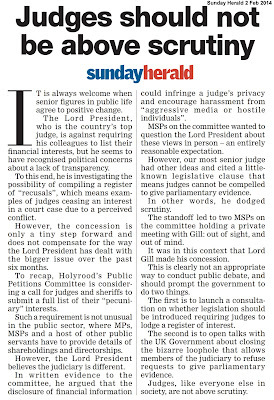 It wasn't too long ago Scotland’s Lord Justice Clerk, Lord Brian Gill said in a speech to a Law Society of Scotland conference which preceded publication of his Civil Courts Review, branded Scotland’s civil justice system as “a Victorian model that had survived by means of periodic piecemeal reforms … in substance its structure and procedures are those of a century and a half ago. It is failing the litigant and it is failing society.” Clearly the judge said it, so it must be true. 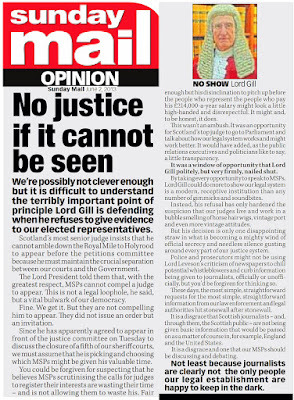 Lord Gill said a lot more and put forward many recommendations to fix Scotland’s “Victorian” justice system yet the reaction of the Scottish Government to Lord Gill’s damning indictment of Scotland’s civil justice system was to launch another review of Lord Gill’s review, which I reported on here : Scottish Government delay reforms on costs of litigation & access to justice as Minister announces 18 month 'time wasting' review by retired sheriff. 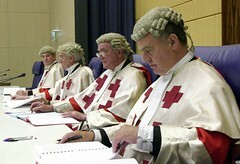 Many of the same failings of the civil justice system are also true of Scotland’s criminal law system, which is clearly out of touch on many occasions with human rights issues, so out of touch the Supreme Court also had to correct the rights of accused to be able to consult a solicitor when being interrogated by Police, as occurred in the Cadder (Appellant) v Her Majesty’s Advocate (Respondent) (Scotland) (pdf) ruling which caused similar huffing & puffing from Mr Salmond & Mr MacAskill, who were apparently keen to maintain the lack of such rights to accused, before the Supreme Court’s ruling. 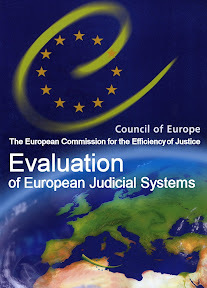 A review of a very damning review and attempts to restrict the rights of individuals already accepted across Europe does not inspire confidence in the need to update a justice system Mr Salmond claims is already fair and should be its own final arbiter. Do you need legal aid to fund legal representation ? Whether its a civil or even a criminal case, the Scottish Legal Aid Board may very well refuse it, clearly hindering your right to a fair hearing or a fair trial. Legal Aid refusals appear to be based more on personal prejudices of some in the justice system rather than whether a case stands a chance of success or not. From the Law Society personally targeting the lives of those who complain against their solicitors, to our judges being controlled by male prostitutes, to Police Officers leaking data to criminals to fingerprints being planted at murder scenes, to lawyers getting away with legal aid fiddles, to the law itself being manipulated by its servants to bring charges against individuals, one may argue the Scottish justice system is a lot more crooked than the media can keep up with all the scandals requiring exposure. 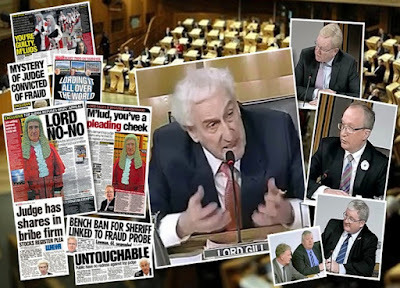 The Lockerbie Trial, and the controversy that will never go away over the hearings at Camp Zeist and the subsequent conviction of Abdelbaset Al Megrahi for the bombing of Pan Am Flight 103 over Lockerbie, Scotland in December 1988. 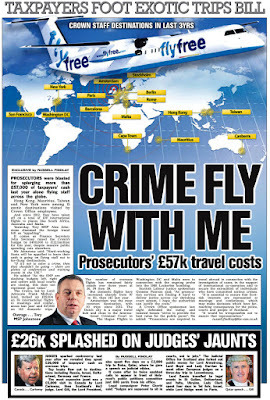 Just imagine what may have happened if, rather than being conveniently released on compassionate grounds by Justice Secretary Kenny MacAskill, who was obviously keen on avoiding making the Scottish Court of Appeal look even more a fool than it is, Abdelbaset Al Megrahi had finally been able to take his appeal to the Supreme Court in London ? 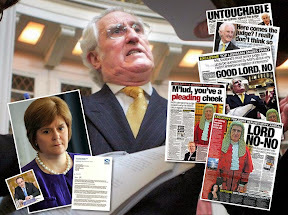 If the court had ruled in his favour and quashed his conviction, how much huffing & puffing would the First Minister and Justice Secretary done in that event ? In the case of Surjit Singh Chhokar, the Crown Office was and still is, branded as “institutionally racist”. There is little doubt race and racial discrimination places a huge part in Scotland’s justice system today, no matter how many statistics the Crown Office may tout on hate crimes or race crimes. We all of course remember what happened to Scotland’s most Senior Asian Advocate Raj Jandoo after he wrote the report, BBC News reported Mr Jandoo was convicted of endangering an aircraft and breach of the peace for mentioning a bomb and being regarded as terrorist causing fear and alarm to passengers and crew. 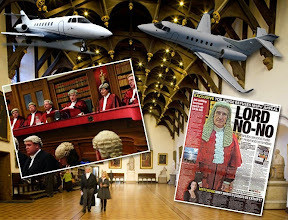 Meanwhile other [white] Scottish legal luminaries dragged off aircraft & charged with offences, had their charges dropped. 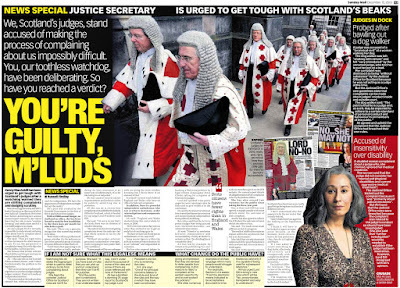 Racism is still very much alive in the Scottish justice system today. Surprise ! 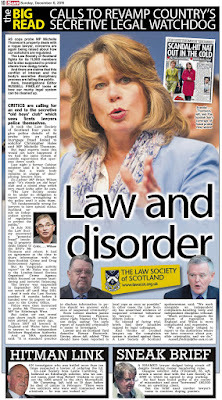 Even though no one wants to admit it, Scotland’s justice system is just as sectarian as those individuals or groups the Justice Secretary now seeks to legislate against with what will probably be poorly thought out laws rushed through the Scottish Parliament which may well end up being challenged on ECHR compliance later on, possibly in the Supreme Court once again. 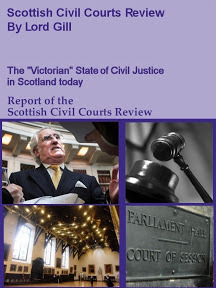 According to a report authored by Dr Susan Wiltshire of Glasgow University for the Scottish Parliament’s Petitions Committee, there is firm evidence to show the Scottish Justice system is itself sectarian, holding harsher positions, verdicts & gives out longer term sentences against catholic defendants and other religious minorities than other groups who come before it on criminal (and quite possibly civil) matters, according to coverage from Scottish Law Reporter, available here : Report published by Holyrood Committee says justice system may be prejudiced against Catholics, confirms higher numbers in Scots jails. 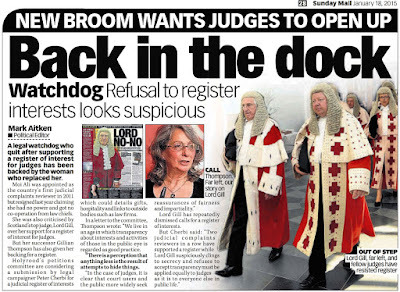 Is such a justice system worth defending when clearly it fails to serve Scotland and the Scottish people, rather only serving its own vested interests and of those who support it ? First Minister Alex Salmond’s criticisms of yesterday’s Supreme Court ruling and his views on Scotland’s justice system being its own final arbiter are not consistent with the realty of justice in Scotland. 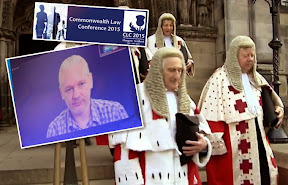 Little wonder therefore that those who require a fair hearing in criminal or civil law should now look to the Supreme Court and even Europe because Scottish justice is unfair and all the things above. SLCC Chief Executive Eileen Masterman (foreground) received Scottish Government approved pay off after lawyers intervened says auditor report. 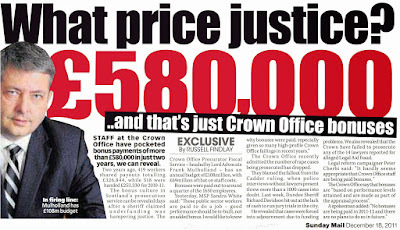 RUMOURS that Eileen Masterman, the former Chief Executive of the much derided Scottish Legal Complaints Commission (SLCC), received a SUBSTANTIAL PAY OFF after she resigned on grounds of “ill health”, after serving less than SEVEN MONTHS in the £80,000 a year, £1,350 plus, a week job have now been confirmed with the publication of a “Key Memorandum Issues” document prepared for the SLCC by the Edinburgh offices of auditors Grant Thornton. 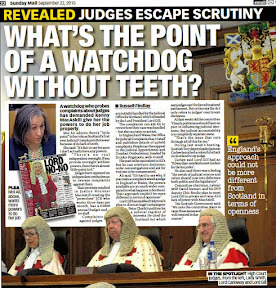 Grant Thornton were called in to replace the Scottish Legal Aid Board (SLAB) as the SLCC’s auditors, after SLAB were abruptly sacked from their auditing role by the SLCC’s board in 2009 after much bickering over the Legal Aid Board’s scrutiny of the failed law complaints quango. However, the report now published by Grant Thornon FAILS to mention any references to official claims Ms Masterman resigned due to “ill health”. 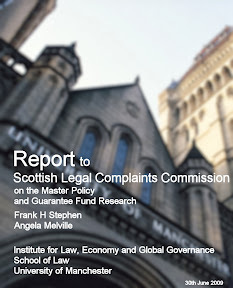 The report instead documents a battle negotiations between lawyers, the Scottish Legal Complaints Commission and even the Scottish Government over what is referred to as an unspecified “Ex-Gratia payment”, which one legal insider this morning said may have been made to head off any legal proceedings against the SLCC by Ms Masterman. The figure, which Grant Thornton, the SLCC and the Scottish Government have so far failed to disclose, is rumoured to be substantial. Following the ‘recruitment process’, Ms Masterman was eventually replaced by Rosemary Agnew as Chief Executive in 2010. The SLCC have since removed any references to Ms Masterman’s resignation from their website. 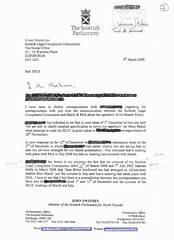 Mr Swinney went on to state in his letter : "*** has drawn to my attention the fact that the minutes of the Scottish Legal Complaints Commission dated 11th of March 2008 and 7th July 2007 indicated firstly in March 2008 that 'Jane Irvine confirmed she had arranged an introductory session from Marsh' and the minutes in July said that a meeting had taken place with RSA. I have to say that I feel there is a contradiction between the correspondence you have sent to *** dated 1st and 12th of December and the minutes of the SLCC meetings of March and July." 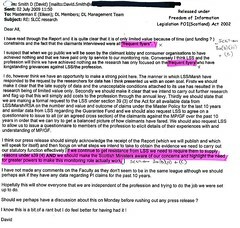 Eileen Masterman then wrote to John Swinney in a letter dated March 2009 claiming "I have not met with Marsh", clearly contradicting the course of events revealed in documents released under FOI legislation where SLCC officials including Ms Masterman had in fact met Marsh. 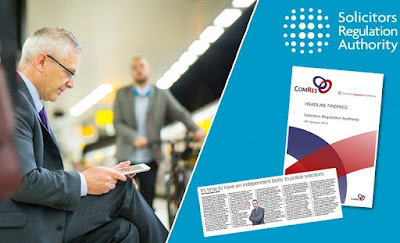 Frequent Flyers : SLCC’s David Smith expressed anti-client jibes to Eileen Masterman in emails around the anti-consumer law complaints quango. 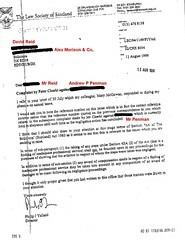 Among the papers ordered to be disclosed in a decision by the Scottish Information Commissioner, Kevin Dunion, emails containing anti-client jibes were revealed to have been sent by SLCC board member David Smith to Ms Masterman in July 2009. Mr Smith, husband of Court of Session judge Lady Smith, was personally appointed to the SLCC by Justice Secretary Kenny MacAskill. 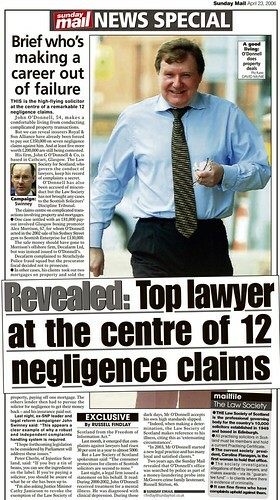 Mr Smith, a lawyer who served much of his career at law firm Shepherd & Wedderburn, who themselves often act for the Master Policy in protection of questionable solicitors against negligence claims, referred to participants in the Master Policy survey & deceased clients who had committed suicide as a direct result of involvement with the Master Policy, as “Frequent flyers”. Called to the Bars : Evidence from earlier FOI releases featured in newspapers point to SLCC’s anti client culture among board members & senior officials. 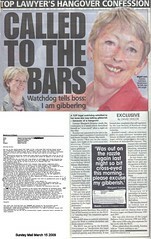 The emails from David Smith to SLCC staff including the SLCC’s then Chief Executive Eileen Masterman, support evidence from earlier FOI releases which featured in the national media of a bitter, hate fuelled anti-client culture operating at the highest levels of the Scottish Legal Complaints Commission, which has seen other board members such as Glasgow divorce lawyer Margaret Scanlan who rubbished victims of crooked lawyers as “complete chancers”. 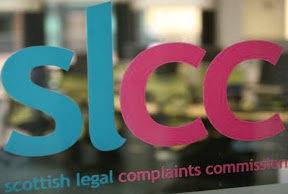 In additional emails, other board members chastised consumer organisations, and sought to exclude them from the inevitable results of the SLCC’s Master Policy investigation, which the deaths of clients to the Law Society of Scotland, its insurers and the Master Policy itself. 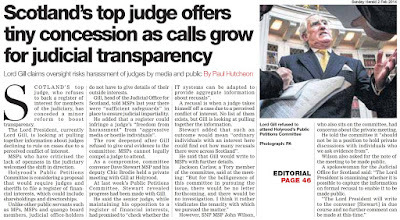 Something to hide : Scottish Government Ministers refuse to comment on audit report’s claims they approved a payoff to the former SLCC Chief Executive Eileen Masterman. The Scottish Government were asked for comment on their role in approving the pay off to Ms Masterman amid claims that a series of leters from Mr Swinney & a law reform campaigner over the Master Policy meetings led to her downfall. The Scottish Government refused any comment, their spokesperson briefly stating : "This is a private personnel matter for the SLCC and its former employee." The Scottish Legal Complaints Commission also refused to comment on the matter or release any details of the payoff and how it was negotiated. It was also noted the SLCC’s media response was emailed at exactly the same time as the response received from the Scottish Government. Frequent Fryers of FOI requests : SLCC Board Member former Deputy Chief Constable Ian Gordon is also the Convener of the Standards Commission for Scotland for the next four years. 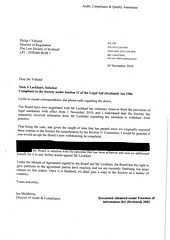 Given the many questions raised over the resignation of Ms Masterman, and the lack of progress the Scottish Legal Complaints Commission had made on key issues including scrutiny of the Master Policy, Freedom of Information requests were made to the SLCC asking for details surrounding the resignation. They were refused. Upon a request for a review of the SLCC’s refusal to disclose information through Freedom of Information legislation, one of its board members, former Tayside Deputy Chief Constable Ian Gordon, who is also, amazingly, the Convener of the Standards Commission for Scotland, abruptly refused the Freedom of Information review, as did the SLCC’s new Chief Executive, Rosemary Agnew, who considered and again abruptly refused a second request for an FOI review. 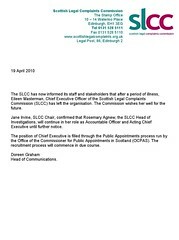 The Scottish Information Commissioner, Kevin Dunion is now investigating the SLCC’s refusal to release any information on Ms Masterman’s absence and resignation from the SLCC. 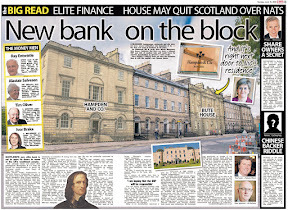 Banks are too crooked to own law firms, FSA is rubbish at regulation, say Scottish Law Agents Society. BIZARRE CLAIMS that High Street Banks and other ‘Financial Service Providers’ are TOO CROOKED to hold majority ownership in equally crooked Scottish law firms have emerged today in a response from the Scottish Law Agents Society to a Scottish Government consultation on proposed changes to the ownership of law firms as laid down in the Legal Services (Scotland) Act 2010, passed last year by the Scottish Parliament only after a raft of changes & amendments had been ordered by the Law Society to water down the Scottish Government’s initial proposals to expand Scotland’s closed shop legal industry. 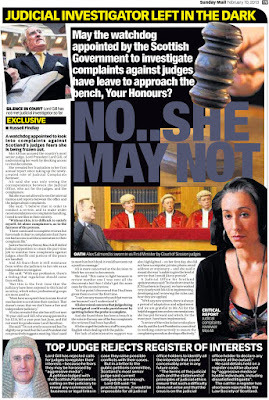 The Scottish Government consultation on which categories of regulated professionals other than solicitors should qualify to meet the 51% ownership requirement in the Legal Services (Scotland) Act 2010 has caused fierce bickering within the Scottish legal profession over their decades old control of Scotland notorious closed shop solicitor dominated legal profession where members of the public who require access to justice or the courts are forced to go solicitors who are members of the Law Society of Scotland. Today, amid the fears of lawyers the financial industry will come into Scotland’s legal profession and scoop up law firms, or even open their own and bring much needed competition into the legal services marketplace where solicitors have got used to charging sky high fees for doing very little work on behalf of their clients, the Scottish Law Agents Society issued a series of damning accusations against the financial services sector, essentially claiming financial services providers are historically too corrupt to own a majority stake in a Scottish law firm. The same is true of the legal profession in Scotland. Solicitors have spent decades mis-selling legal services to clients who end up paying extortionate fees for useless and often unsuccessful litigation. While it is true regulation may well have done little to curb bad practice in the financial services sector, it is equally true regulation in the legal services sector, provided in Scotland by the Law Society of Scotland, Scottish Legal Complaints Commission, Scottish Solicitors Discipline Tribunal & last but not least, the Faculty of Advocates, has collectively done little or nothing to curb the incessant corruption, client rip offs, negligence, dishonesty and bad service which continues to plague Scotland’s legal services sector today. 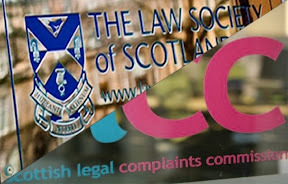 It should be noted the response from the Scottish Law Agents Society fail to contain any references to many Scots law firms who are themselves caught up in similar scandals of mis-selling of mortgages & financial products and even legal services to clients who are then forced to lodge complaints with the Law Society of Scotland and Scottish Legal Complaints Commission. Unsurprisingly the Law Society & SLCC are reported to be ignoring such complaints. While SLAS went onto cover themselves by stating : “It would degrade significantly the intended benefits of the Act and indeed the rationale for liberalising the provision of legal services if regulated professions were restricted only to those of Solicitor and Accountant”. Although it would require approved regulators to evolve and enforce robust “fitness for involvement” tests, it would be inconsistent with the purpose of the Act to deny the opportunity to participate in the provision of legal services to other regulated professionals.” the response indicated they would be happy to form “associations between solicitors and surveyors or indeed any regulated profession as defined in Article 3 of European Directive 2005/36 with one exception“, that exception being the Financial Services Industry. I am not surprised solicitors are happy to form associations with the likes of surveyors. Law firms forming associations with surveyors is something I’ve seen first hand in Edinburgh and particularly in the Scottish Borders, usually ending up in a very corrupt arrangement where surveyors dish out fraudulent valuations to house buyers or sellers or solicitors on behalf of executry estates of deceased clients, resulting in one particular case I remember where a single solicitor ended up owning twelve properties, some purchased through middle men after it took years to sell particular properties of deceased clients which ended up being sold in some cases for a quarter of their value during the property value boom between 2000 – 2008. Clearly standards must be kept, but with the ever increasing amount of fraud by solicitors against executries & wills in Scotland, reaching into the tens of millions of pounds each year or by some estimates much more, I hardly think trusting regulation of the legal services market to the likes of the Law Society of Scotland and the remains of the current self-regulation of solicitors gang, including the SLCC, will do anything to improve regulation, increase public confidence or increase consumer protection in Scotland’s best-to-be-avoided legal services marketplace, even after terms of the much-watered-down Legal Services (Scotland) Act 2010 takes hold. We are therefore left to ask ourselves as consumers of legal services, are banks & financial services providers too crooked to own outright a law firm, or is it just these law firms are themselves too crooked to want anyone else to own them or compete in their markets ? 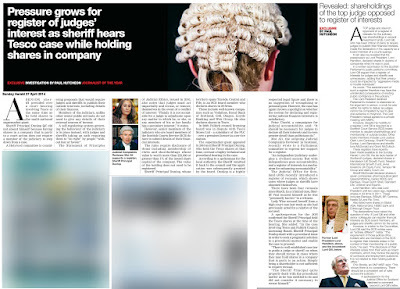 Judge for yourselves on the evidence aplenty already reported on Diary of Injustice, although you may be forgiven for coming to the conclusion neither of the professions can really be trusted with our financial or our legal & justice needs. Scotland’s ‘Crooked Lawyer” complaints quango experienced a rush to join its high paid do-nothing Board. 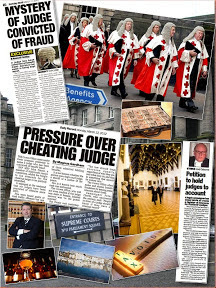 DOCUMENTS obtained from the Scottish Government under Freedom of Information legislation have revealed there was a ‘mad rush’ of EIGHTY NINE applications by ‘people from other quangos all walks of life’ to fill THREE highly paid non-lawyer positions on the board of the notoriously anti-client Scottish Legal Complaints Commission, the ‘not-so-independent’ regulator of complaints against crooked lawyers in Scotland which has so far only upheld one complaint in its three years of existence after soaking up TWO MILLION POUNDS of taxpayers money in start-up costs. The full Freedom of Information release revealing the Scottish Government’s rather tedious recruitment process including the eighty nine applications received by the Scottish Government to fill the non-lawyer board jobs can be viewed online or downloaded as an acrobat pdf document, here : Scottish Government Recruitment Process : Scottish Legal Complaints Commission Board Members 2011. The huge volume of applications to fill the SLCC’s non-lawyer posts which attract a recession busting £212 a day together with access to massive expenses accounts & other perks all ultimately paid for by ever-rising solicitors fees to their clients, is in marked contrast to the lawyer-only board member position advertised by the SLCC, which I revealed in February in an article here : Poisoned Chalice : MacAskill forced to parachute Government’s own lawyer onto Scottish Legal Complaints Commission after Advocates shun job, attracted only one application after all but one member of the Faculty of Advocates shunned the offer. The SLCC’s lawyer-only board member position ended up being ‘taken’ by the Scottish Government’s own standing junior counsel Maurice O’Carroll after no one else wanted the job. One Scottish Government insider commenting on the SLCC’s latest recruitment drive said the ‘mad rush’ by some to join the SLCC had been expected as many of those already on quangos or in other highly paid-for-by-the-public positions appeared to fear for their current jobs and were actively seeking out additional equally highly paid positions on other quangos. You can tell we are in the middle of a recession when there is such a mad rush by some on those lists to join a quango which is supposed to be investigating complaints against the legal profession yet has been reported in the press as being pro-lawyer. Its also telling exactly who applied to join, not only the volume of applicants. An earlier attempt to recruit additional lay members to the SLCC’s board in 2009 (when other quangos & jobs were not under threat) backfired, after one of the current SLCC lay members threatened to resign then had second thoughts. 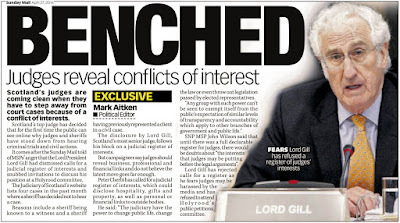 I reported on this in an article in July 2009, here : SLCC appointments scandal 'humiliation' for Justice Secretary as MacAskill forced to abandon new lay member recruitment. Indeed, what a difference a recession, cuts to quangos, and cuts to public services makes. Just to set the record straight, I was ‘encouraged’ by a solicitor to apply to join the SLCC in this latest round of non-lawyer appointments. However, after consultation with a well placed Scottish Government source, I chose not to, given the hostility of the SLCC’s chair & board towards myself & colleagues in the media, which has spilled over in emails to several institutions including the Scottish Information Commissioner. I really do not feel I am able to work with or be associated with people who are supposed to be in positions of protecting consumers, but who in reality exhibit an unhealthy level of HATE, PREJUDICE & a willingness to twist facts, misrepresent issues, deny the release of information and intimidate those who work in the media and all the while, belittling & discriminating against those who have already fallen victim to the legal profession itself. Taking blood money for watching consumers fall victim to a corrupt regulatory process is not my idea of consumer protection or effective, honest & impartial regulation of legal services. Scottish Legal Aid Board asks for clients to tell on go-nowhere cases funded by legal aid. 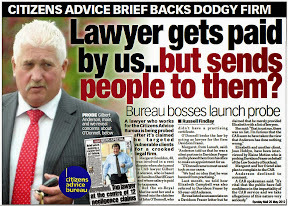 IF YOUR LAWYER IS ABUSING OR FALSIFYING CLAIMS FOR LEGAL AID FUNDS, COME TO US say the Scottish Legal Aid Board (SLAB) after clients of legal aid scandal solicitor Niels S Lockhart demanded an investigation by authorities into accusations by Legal Aid Chiefs exposed in a Sunday Mail newspaper investigation the solicitor made “unnecessary & excessive” claims for legal aid, while raking in over £600,000 in legal aid funds paid out of the public purse in over two years. The announcement from the Scottish Legal Aid Board comes in response to a further article in the Sunday Mail newspaper reporting on the concerns of clients of solicitor Niels Lockhart. 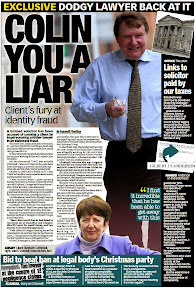 One client referred to in the latest Sunday Mail report on the Lockhart-Legal Aid scandal said he had been to Mr Lockhart’s offices on a staggering SEVENTEEN VISITS yet his case had not advanced. However while SLAB are apparently now keen to speak to Mr Lockhart’s former clients over their concerns, it appears the board are also keen to stress they “saw nothing to indicate fraudulent practices” yet in an amazing contradiction, the board accused Mr Lockhart of making “unnecessary & excessive” claims for legal aid, accusations which in the eyes of many, clearly amount to abuse of public funds. 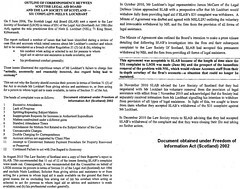 The statement ended, calling for Mr Lockhart’s former clients to contact SLAB with their concerns : “Should any former legal aid clients of NS Lockhart have information which would constitute fraudulent activity they can contact the Board or the Police about their concerns." 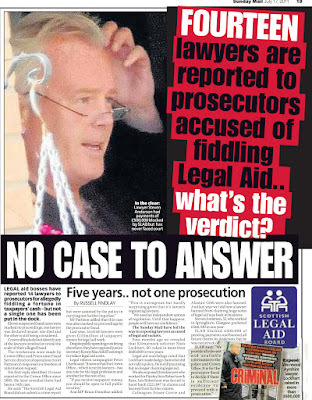 If clients of Mr Lockhart or indeed any clients of solicitors across Scotland have concerns about their cases and legal aid funding, I would urge them to approach the Scottish Legal Aid Board immediately, while also copying in their information & concerns to myself via scottishlawreporters@gmail.com to ensure positive action is taken in relation to legal aid abuses while also enabling the media to report on these matters and alert other clients to the potential dangers of using solicitors & law firms who abuse legal aid. FORMER clients of rogue lawyer Niels Lockhart want police to probe his Legal Aid scam.Lockhart was banned from Legal Aid work after claiming £600,000 of taxpayers' cash in two years. A Scottish Legal Aid Board report said he routinely made "unnecessary and excessive" claims. But the Law Society of Scotland took four years to act on the report and then cut a secret deal which allowed him to simply agree to stop claiming Legal Aid. 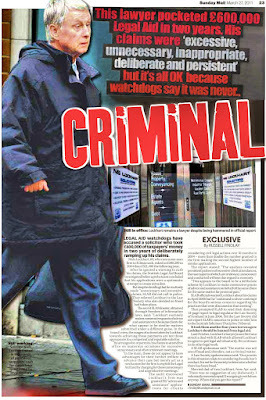 Slab ruled there had been no criminality - but admitted they didn't speak to any of his clients. Andrew Garland, 52, hired Lockhart to represent him in a compensation claim in 2009. The fees were paid by Legal Aid. He said: "I went to his office about 17 times and it was always the same. I was wasting my time because we were getting no further forward. "Not once has SLAB been in touch - I can't believe it. If it's a case of them not having enough information, I'd be first in line to tell them what he was doing." Another client, who asked not to be named, fumed: "I can't understand why the police haven't been involved with this. I was being called in and he would just read me a letter or something he could easily have done over the phone. "When I read the Sunday Mail's story, it all suddenly made sense." 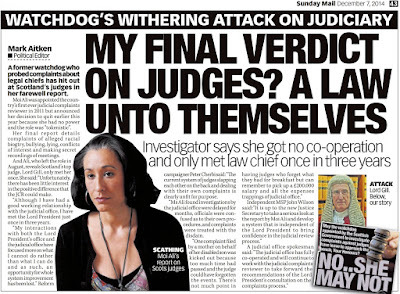 Slab said Lockhart's tricks were "not appropriate to a competent and reputable solicitor" - but the 60-year-old continues to run his one-man firm in Kilmarnock. In the light of revelations by the media that solicitors have been able to quietly withdraw from the legal aid register after secret deals were struck between the Law Society of Scotland, the Scottish Legal Aid Board & the Legal Defence Union over irregularities which collectively, could run in to millions of pounds, the issue is likely to receive calls for a full investigation when the Scottish Parliament, now dominated by msps from the Scottish National Party, reconvenes for its next session. 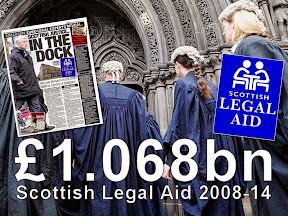 The issue of abuse of legal aid may well be a test of the Scottish Government’s resolve to ensure legal aid is targeted towards those who actually need it, while also bringing into focus the Scottish Parliament’s ability to scrutinise the massive £150 million pound legal aid budget, where the pressure will be on to investigate why secret deals between elements of the legal profession can see a lawyer escape penalty for misusing funds, while benefits cheats regularly face criminal convictions or even jail for their actions in cheating the public purse. Marsh UK, the UK subsidiary of the US insurance firm Marsh & McLennan companies which saw some of its directors plead guilty as a result of an investigation by the New York District Attorney's Office of bid-rigging and price-fixing in the insurance industry has now been linked to Scotland's longest running civil damages action claim, now in its SIXTEENTH YEAR in the Court of Session, involving Motherwell College & North Lanarkshire Council after the local authority released details in response to a Freedom of Information request. 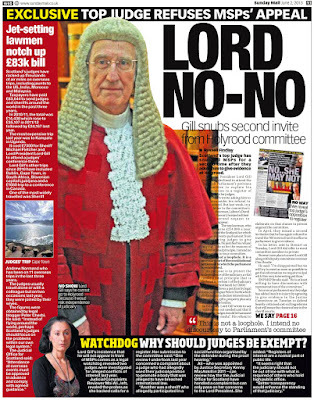 Court of Session judge Lord Woolman hears Scotland’s longest running civil damages claim. Now in its Sixteenth year in the Court of Session, fresh hearings in the long running civil damages claim in front of judge Lord Woolman began earlier on Tuesday of this week. M.Wilson v North Lanarkshire Council & Others (A1628/01) which has its origins in the mid 1990’s and brought about Scotland’s first civil law McKenzie Friend in late 2009, involves a sole party litigant, Mr Martin Wilson, a former Music lecturer of Motherwell College who, according to media reports was forced out of his job after sustaining severe back injuries during the course of his duties as a music lecturer during his time at the College in the 1990’s. 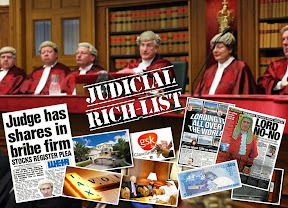 Responses obtained by Diary of Injustice in reply to Freedom of Information enquiries reveal that Marsh, the insurance firm who insure all members of Scotland’s legal profession without exception, now also insure North Lanarkshire Council, who operate Motherwell College. 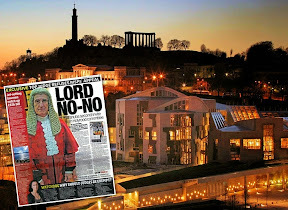 In what is now Scotland’s longest running civil damages claim, Mr Wilson, the party litigant, has been forced to represent himself after several of Scotland’s leading law firms suspiciously abandoned his case at the very last minute. Mr Wilson is facing North Lanarkshire Council and their indemnity insurers, Travelers Insurance Co Ltd who are both being represented in court by Edinburgh law firm Simpson & Marwick. Senior Counsel for Simpson & Marwick is Ian MacKay QC, Junior Counsel being Calum Wilson both of Compass Chambers. 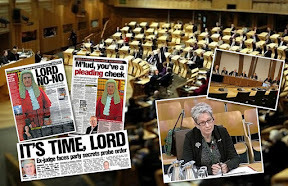 Now, following further investigations by Diary of Injustice and despite the outrageous time it has taken for Scotland’s civil justice system to hear their testimony, hearings in the Court of Session have shown that many internationally acclaimed experts have supported the party litigant’s claims. I first reported on Mr Wilson’s case late last year, here : FIFTEEN year wait for justice against Motherwell College marks poor state of Scotland’s ‘Victorian’ Justice System on European Civil Justice Day where legal insiders who attended previous court hearings reported that Mr Wilson, who had been put in the position of having to represent himself after several big name law firms, who were at the time & are currently all insured with Marsh UK, withdrew from Mr Wilson’s case at the last minute prior to scheduled hearings of the Proof. Mr Wilson had also encountered repeated & numerous refusals of ‘expert witnesses’ from Scotland to assist his case as long as he was unrepresented. 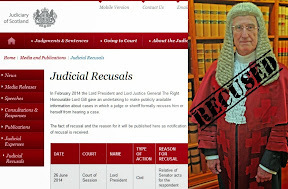 As a party litigant without representation, Mr Wilson was, according to court observers, forced abroad to Japan and the United States for supportive expert medical reports. 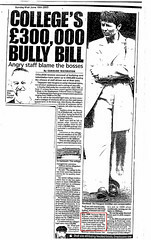 According to court documents seen by Diary of Injustice last October, Mr Wilson was previously represented by the well known Edinburgh law firm of Balfour & Manson, who were appointed by Scotland’s largest teachers & lecturers Union, the Educational Institute for Scotland (EIS), who spent tens of thousands of pounds assessing Mr Wilson’s injury as a valid claim, and that it should proceed to court. Amazingly it took the EIS almost THREE YEARS to lodge the summons against Motherwell College. Papers studied by legal insiders reporting on the case revealed that Balfour & Manson, after being appointed by the EIS spent a staggering EIGHT YEARS working on Mr Wilson’s injury claim, and then at the last minute, decided to withdraw from acting for their client with only weeks to go before scheduled Proof Hearings in the Court of Session. Motherwell College squandered £300K of taxpayers money fighting a string of Tribunal hearings involving bullying allegations against lecturers which the College lost. A number of media reports, referred to in recent coverage of the case by Scottish Law Reporter, show Motherwell College were involved in a string of Employment Tribunal decisions the college lost during Richard Millham’s term as Principal of Motherwell College. 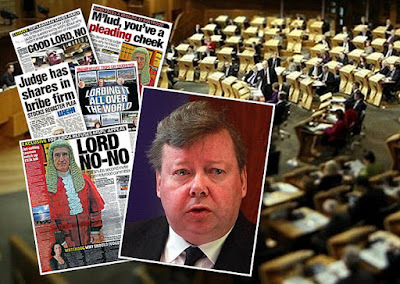 Allegations in newspapers including the Sunday Mail reported that “In 1999, lecturer Martin Wilson won £4000 after a tribunal ruled he had been unfairly fired. He had a back injury and could not work. A close friend said : "He was targeted by Millham. There was a strong climate of fear, which is still there ." Simpson & Marwick, who are representing Motherwell College & North Lanarkshire Council, are themselves famed for their representation of solicitors accused of professional negligence & client swindling, all supposedly covered by the Law Society of Scotland’s Master Policy Professional Indemnity Insurance Scheme, operated by Marsh to defend against negligence claims raised by clients. 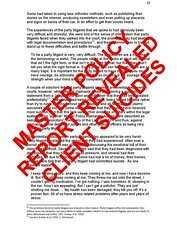 The Master Policy and its administration, operation was linked in 2009 to client suicides in an independent report published by the University of Manchester’s Law School. Marsh UK, the British end of the gigantic US insurance operation appear to be linked to many insurance deals in the public & private sector, ranging from multiple services provided by local & national government including law & order, to the private sector. Marsh also enjoy a monopoly on the insurance of all solicitors in Scotland through the Law Society of Scotland’s ‘brutal enforcement’ of the Master Insurance Policy arrangements where all solicitors are required to pay into the professional indemnity insurance scheme if they want to practice any form of law. This reporter and the Scottish Law Reporters team will continue to follow this case closely.